NOTE: Different Boards may have different SPI pin map, please check the datasheet of your controller. How to install Library? 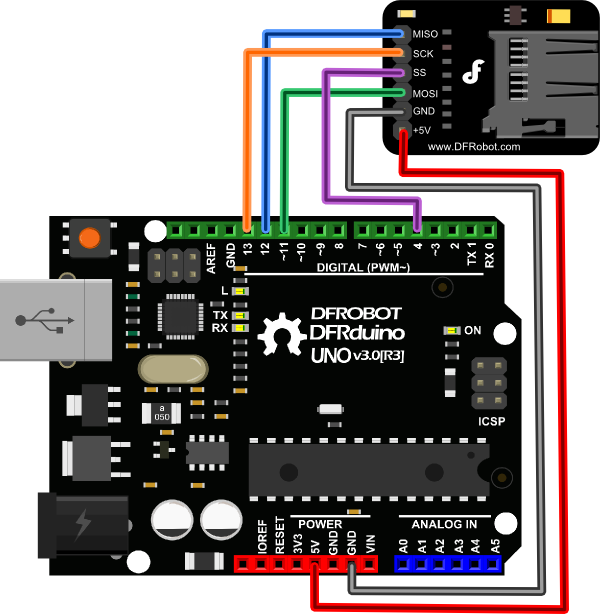 Open the sample sketch "CardInfo"in the Arduino IDE. As you can see, it include the SD library called SD.h, you could also download other open source library on the web. If your SD card is good and wiring is correct, open the Arduino IDE serial monitor, then you can see your SD card information. Or you might get this warn shown in the right picture. 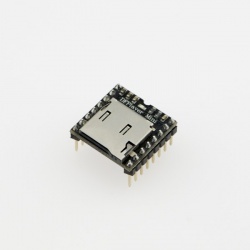 Get MicroSD card module for Arduino from DFRobot Store or DFRobot Distributor.